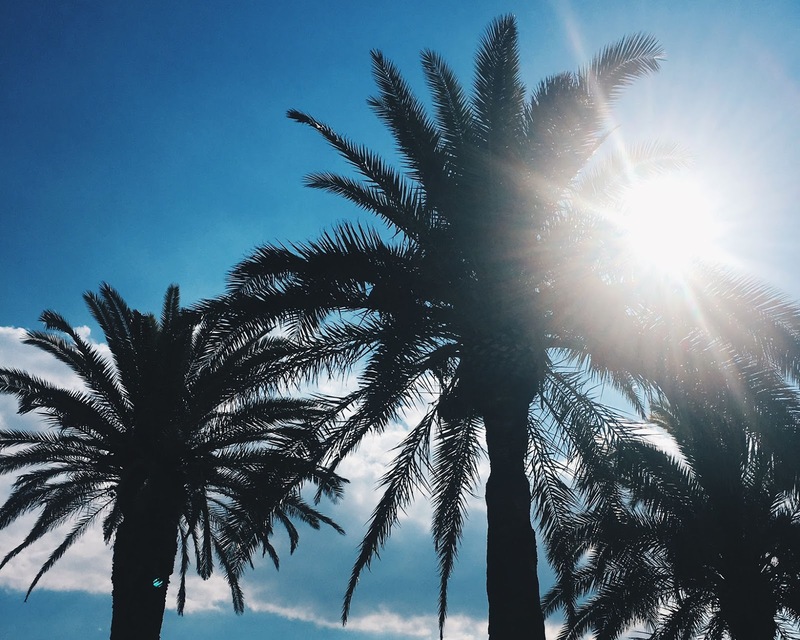 If you’ve been following me on Instagram or Snapchat, you may have noticed that I’ve been travelling and was in a place that was sunnier and far warmer than London. I spent a week in Split, Croatia and had an amazing time. I’m in no way an expert in all things Split, but I thought it’d be fun to share some of the beautiful places we’ve visited and I’d totally recommend. The Location – Where Is Split? According to Tripadvisor, Split is the largest city on the Dalmatian Coast and the second-largest city in the country. Personally, it didn’t feel that big and everything worth seeing was in walking distance. The local currency is Croatian Kuna, which you can easily exchange at the airport, when you get to town or at local ATMs. Some places also accepted Euros. It’s very close to Venice and we only realised the large Roman influence when we got there, which you can spot from the architecture of the houses to the gelato and Croatian cuisine. It’s very carb heavy —think: pizza, pasta, risotto, lasagne… meets seafood. They have Croatian versions of it all. 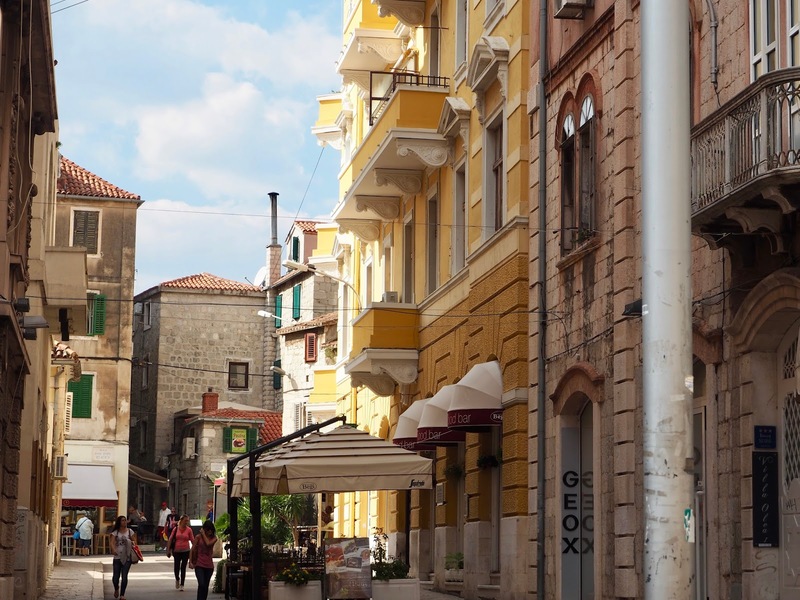 The Accommodation – Where To Stay in Split? Split is actually quite a small city and I’d personally recommend either staying in the Old Town, as it’s quite a nice area and less hectic than being in the centre. We booked an Airbnb that was the perfect middle ground between Bačvice beach, Old Town and the city centre. Within the centre, there are many hostels and hotels, which would be great if you’d literally like to be where the party’s at. Our studio was perfectly nestled away around the corner from the buzzing life in town, yet close to main amenities. 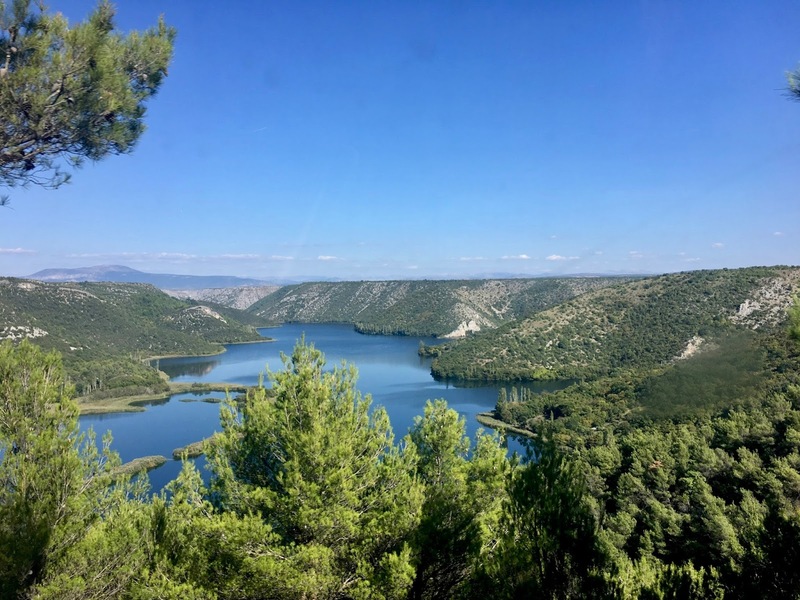 The Itinerary – What To Do When In Split? Whilst Split has some great history itself, we didn’t stay here throughout the whole trip. One of the best tips I received was to use Split as a ‘base’ and venture out during the day. That being said, Split is definitely worth a visit if you love culture, history and Game of Thrones. 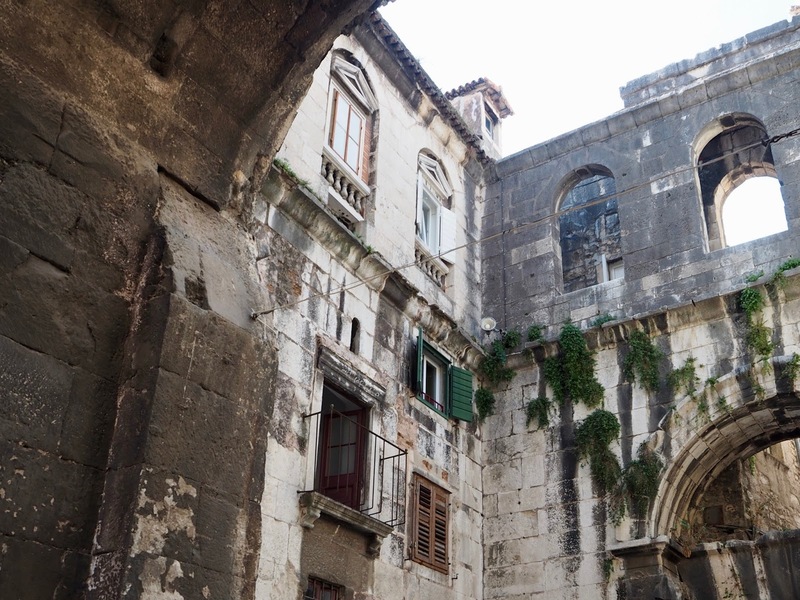 The Diocletian’s Palace – located in the centre of Split – was the dungeon where Daeneris trained her dragons. Very pretty and just exciting, as you’re practically visiting a film set that’s actually something existing. Whilst just 20 mins north you can find Klis Fortress, aka) the slave town Meereen. As my friends weren’t into the show, we sadly didn’t do the Game of Thrones walking tour throughout Split, but it’s something I’d definitely recommend. (Also, please fill me in on what I’ve missed pls). 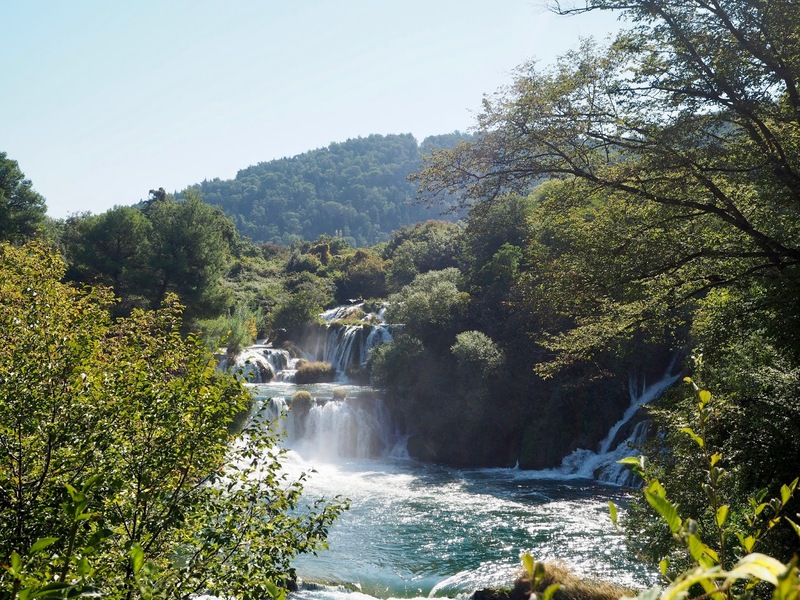 We also went to Krka National Park, which is know for its waterfalls —and according to the travel agent, the most popular tour booked in Split. Whilst not as grand or significant as Plitvice Lakes National Park its main attraction is that you can actually have a swim in the water. (It’s also just 1.5hrs away, instead of 3hrs). We booked ours through the travel agent Gray Line —they do 10% discounts when you pay in cash. There’s a mini hike that takes you to the falls, where you can dip in and have a swim or a peddle. The best tip I could give you is to bring aquashoes. They may not be the most fashionable item or it may clash completely with your outfit, but highly essential, as the rocks are very slippery and painful to say the least. I’ll spare you the details and will just say that we all left with cuts and bruises on our legs. If I were to name my favourite activity, it is the 5 island tour, by far. The tour is with max. 10-15 people, so you’re not with a massive group. They provide very essential fleece jackets, which are hideous to look at, but a life saver, as it kept me warm whilst I felt like my face was going to freeze off. OK, it wasn’t that bad —but take it from me that I don’t know what I’d done without it. First stop is the Blue Cave, which is literally a blue cave. It’s very small and the shipper literally pushed us away from the walls to steer. Next stop was Komiža, which is a small fishers town on Vis island, where we had some breakfast and took the time to absorb it all. The Green Cave wasn’t too exciting, as it was just a bigger cave with a green light… Been there, done that. We then went to the Blue Lagoon area to have a swim and some leisure time. I swam, got followed by a donkey (true story), cut my foot badly – it’s still recovering and I got a tetanus shot – and tanned. It was great, aside from having to limp for 2,5 weeks. The last stop was Hvar, where we had lunch and tried to find the party. We went to Hula Hula Beach Club, which I reckon is buzzing in high season. We were there end of September, so it was quite calm and not too intense, which was great as we could enjoy the view, company and our cocktails. Overall, I’d totally recommend visiting Split or the Dalmatian Coast for that matter. There’s so much history and nature to appreciate, I will definitely return in the (hopefully) near future. And next stop? Take me to King’s Landing please!